As part of the Colliers International Multifamily Advisory Group, Victoria specializes in the exclusive listing of multifamily properties throughout the Mid-Atlantic. To date, Victoria has transacted more than 20 multifamily properties totaling in excess of $400MM in sales volume. She earned "Rookie of the Year" in 2017 from Hampton Roads Commercial Sales and Leasing Achievement Awards. Pickett has six total years' experience in multifamily disposition or underwriting, with former roles as financial analyst, market researcher, and auditor. Prior joining Colliers International, Victoria was Vice President of Multifamily Investment Sales with CBRE|Hampton Roads, part of the CBRE affiliate network. Before brokerage, she was Financial Analyst and Market Researcher where she led the underwriting of income producing properties and research reporting. Early in her career, Victoria worked as an auditor and consultant for DHG LLP, a top 20 public accounting firm, where she primarily served commercial real estate and financial institution clients, specializing in multifamily housing and bank lending operations. Prior experiences include audits of VHDA and HUD-assisted projects, multifamily property management consulting and compliance, and audits of development cost certifications. Charles Wentworth has been actively involved in the commercial real estate field since 2007 focusing on multifamily acquisitions and sales in the Mid-Atlantic and Southeast. 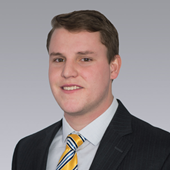 Charles joined the firm in 2012 to specialize in multifamily sales and represents private, high net-worth, and institutional clients in the central and western Virginia markets. 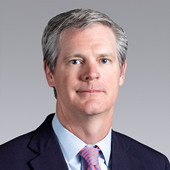 Since joining the firm, Charles has successfully completed transactions totaling $350 million. Previously, Charles was an Associate for Apartment Realty Advisors (Now ARA Newmark) in Charlotte, North Carolina, one of the country’s largest multi-family brokerage firms. While an Associate with the firm, the group brokered nearly $2 billion of apartment communities in the primary, secondary, and tertiary markets of North Carolina and South Carolina. Prior to starting a career in real estate, Charles held various sales and management positions with Ferguson Enterprises, the country’s largest supplier of plumbing, heating, and building products. 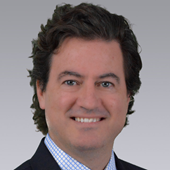 Charles began his career with the firm as a management trainee in Tampa, Florida and was later promoted to management positions in Gainesville, Florida and Santa Monica, California.